Twelve triangular ribs on a 6 inch mold. About four inches across at the top with approximately a three inches opening. Quite straight sides and very little draft for a nice bubble. 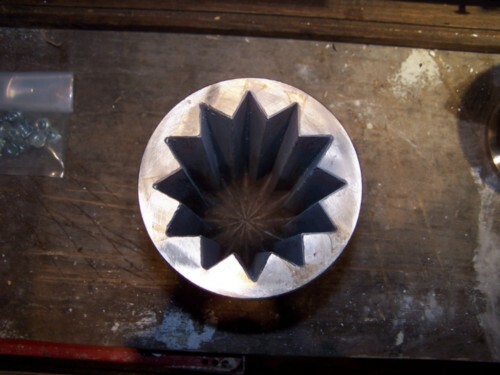 This type of mold does not require you to cut off the bottom of the bubble after the stuff. I was surprised how much time it saves during production. You will love this mold.